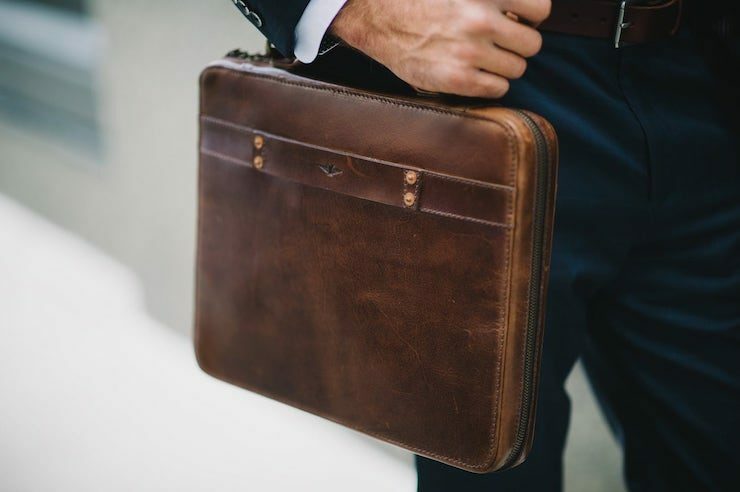 Port Series Innovative Leather Portfolio | OhGizmo! By Gadget Flow on 09/11/17 • Leave a comment! Introducing the Port Series Innovative Leather Portfolio by Satchel & Page. Streamlining your everyday carry, this range of portfolios has everything you need to be your mobile office. The Port comes in five different sizes ranging from tablets up to 15-inch laptops. In fact, with this smart integrated charging design, the user can charge their phone and tablet simultaneously on the go.